The prospect of UFC lightweight champion Conor McGregor fighting five-time world champion and boxing legend Floyd Mayweather Jr. in mixed martial arts rules seems a little far stretched. While there were maybe more skeptics than believers when it came to the idea of both men meeting inside the squared circle in 2017, that fight happened. So what is to stop an MMA bout featuring the most ostentatious figureheads of their respective sports? Well, there are many reasons why this bout cannot happen, and one major reason why it could. Regardless of the pros and cons, it would only be fans that would be losers in this case and that is not up for debate. When we cast our minds back to 2017’s glorified exhibition bout, there were not many fans who would refer to themselves as boxing purists who were that excited. The same could be said for MMA fans. Those who really wanted to see the fight happen were the middle crowd; casuals or those caught up in the actual stardom of both men and what they represented in terms of character. Boxing fans had argued that Mayweather would easily dispose of the Irishman, based upon his illustrious career which had seen him beat some of the greatest boxers of his generation. Mayweather was, and still is, a defensive master that can manipulate his opponent’s strengths and weaknesses and turn them against each one. In the latter stages of his career, persistent hand troubles forced him to develop a style based exclusively on defense, counterpunching and evading his opponents attack with smart movement and anticipation. As one of the true proponents of the “hit and don’t get hit” style of boxing, and with a 49-0 record, how could he lose against a mixed martial artist with zero boxing experience? While McGregor did a whole lot better than many thought he would, it was clear that Mayweather was far from trying as hard as he would have been if “The Notorious” would have posed a considerable threat. From the look of things, Mayweather was allowing McGregor to make it look like a fight in order to justify the near to $100 price tag those in the US paid for the bout. It was not exactly a competition, but an exhibition. Now that the tables have turned, and many believe that both are destined to meet inside the Octagon, how would things fare when in McGregor’s advantage? It is almost certain that a rematch inside the ropes would fail to draw even a fraction of those that last August’s bout did. The only way fans would line the pockets of both men one more time is to bring the fight to the cage. While many boxing fans would surely still be disinterested, it would be for the reason that they would assume Mayweather would have no chance. MMA fans would certainly buy the fight just to see “Money” be absolutely dominated from the get-go. Is that how it would pan out? For a man like Mayweather, who throughout his career managed to make more money than any other boxer in history while keeping his faculties in check, would it make sense to throw himself into the Octagon with next to no mixed martial arts skills? Would someone who has amassed so much fortune go the lengths of compromising his health and his pride as an unbeaten fighter be willing to get absolutely smashed in front of billions across the world? It makes no sense. While the money is, of course, a factor, there are other things to consider. So, how does this fight happen if it does go ahead? Quite simply, it would have to be done in a way which protects Mayweather from any significant risk. Fans are not going to pay to watch Conor McGregor fight Floyd Mayweather in MMA rules if Mayweather requests no takedowns, no kicks, no elbows and no clinches. The other viable option, therefore, is for both men to have an agreement prior to the fight which effectively scripts the bout to ensure Mayweather receives minimal damage and is not embarrassed or choked unconscious. 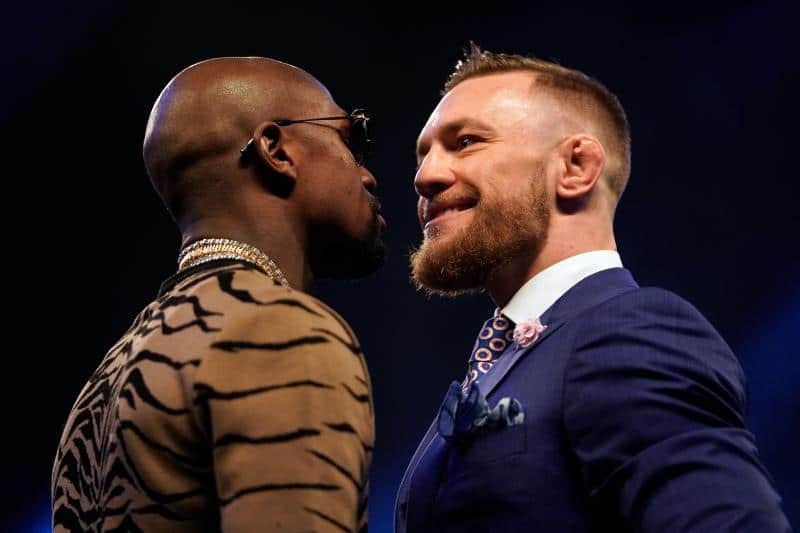 If anyone truly believes that a fight between Conor McGregor and Floyd Mayweather can go ahead as a true MMA bout – and are willing to pay for the privilege of watching it – prepare to be gravely disappointed.